As well as going to a training day I have also done this. 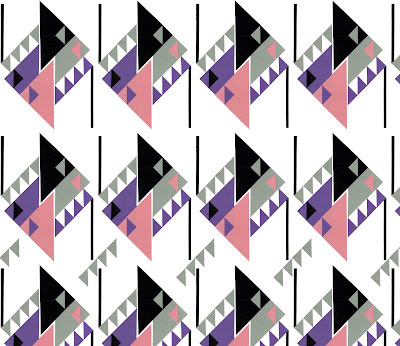 I'm rather enjoying these geometric patterns. Think I would like some curtains or dress fabric made from it. We shall see! Think I will make it an aim to do one a day for this week. I'm trying to build up a collection of ideas and designs. Ben and I are hoping to start something together and these might well be the beginnings.